Welcome to the 2nd article on Gamification. Here at Sirenna we use this approach to teach learners and explain concepts to cater for each learning style. Gamification is being used by lots of ingenious ways by companies, here are a few of the best examples we have found on the web! 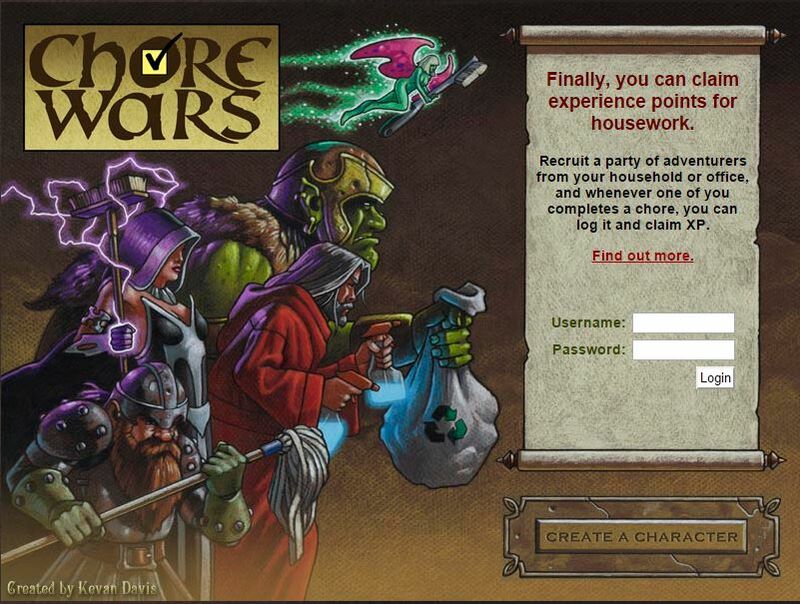 This is a very clever use of Gamification combining chores with an additional goal of levelling up. You earn experience points and the more points the higher the level. This can be used to see how much work each person is doing, and add a form of competitiveness to work. This is a summer reading activity, and gives people points for completing challenges and attending events. 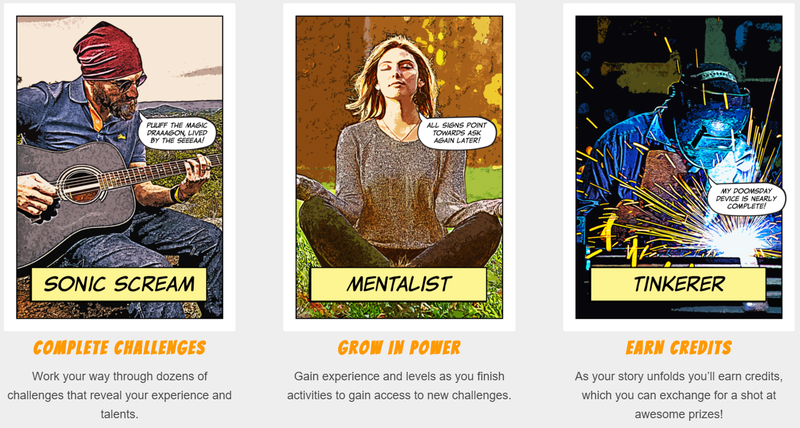 You register on the website, and begin completing the challenges and activities for experience points. You will also then earn credits which can then be redeemed for possible prizes if the users are library card holders. 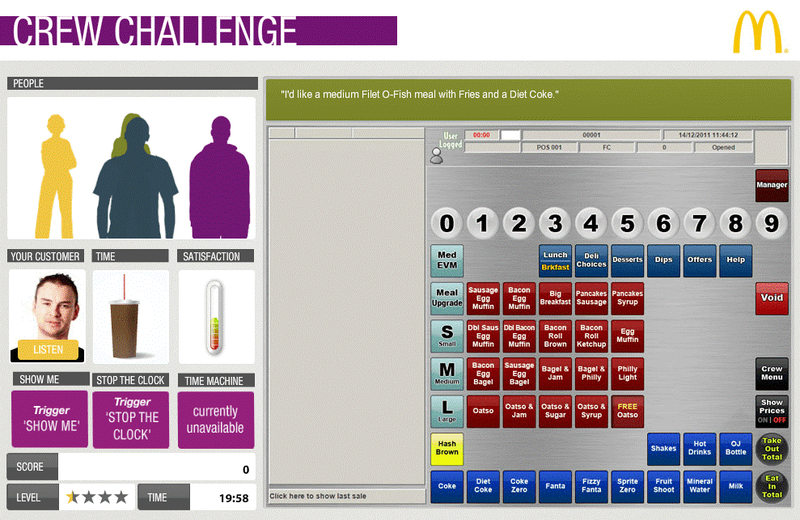 This game was used to train staff on working the tills at McDonalds restaurants when a new system was going to be released. It was released silently on the crew website, and it allows users to use the systems interface in a training environment where a score is earned for speed and precision. The orders progressively get harder as the level increases. This allows users to use the new system in a closed environment, by completing orders they would receive in the real world. After staff members found it and played it, it was shared between colleagues and through competition and achievements it gained a large amount of attention and praise from the staff. The game was extremely successful, and is a brilliant example of how games can teach people practical skills in a fun, enjoyable way. 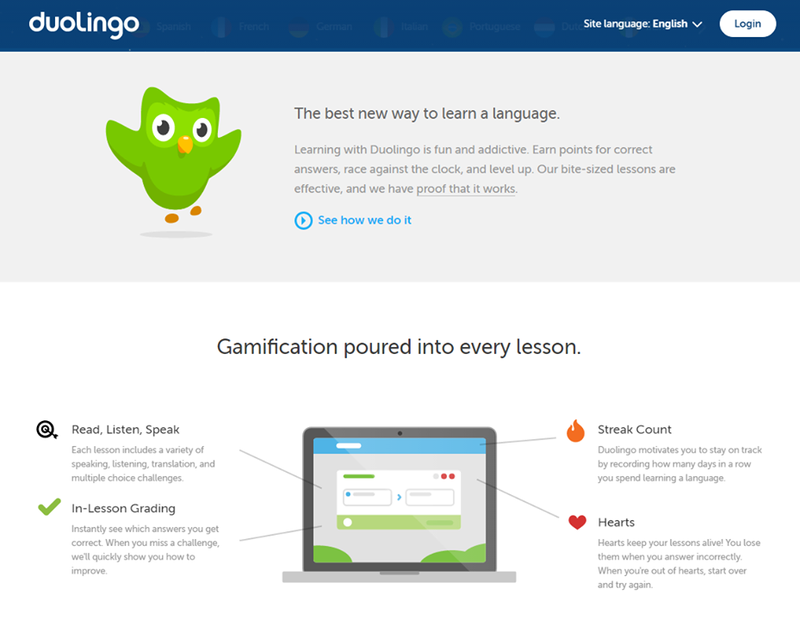 Duolingo is an entirely free and effective tool for learning new languages. It uses gamification to engage and interact with users, allowing people to earn points by completing bitesize tasks and challenges as well as having an app you can use while on the move. This is useful as it helps keep people engaged when learning a new language, as well as offering the freedom of learning on the move. It can not only be a personal learning tool, but it can also be used in a classroom environment which the teacher can keep a track of all their students with a handy dashboard! 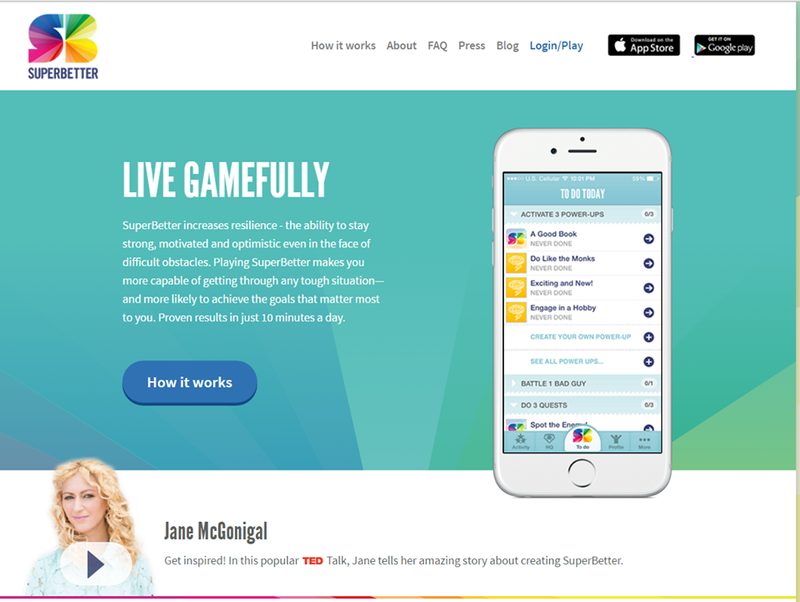 SuperBetter was created with the goal of helping people through tough real life situations in their lives, and helps people overcome difficult situations and problems. You start off by setting what the situation you are trying to overcome is, and you are then assigned quests, or challenges, by either trained health professionals or yourself that you must then complete to progress in your journey. This game also uses things, people and pets from your daily life as power ups that help increase your stats. The ultimate goal of not only getting you through your tough situation, but also improving yourself beyond that of what you were before starting. Looking for a fun way to get fit? Zombies, Run! 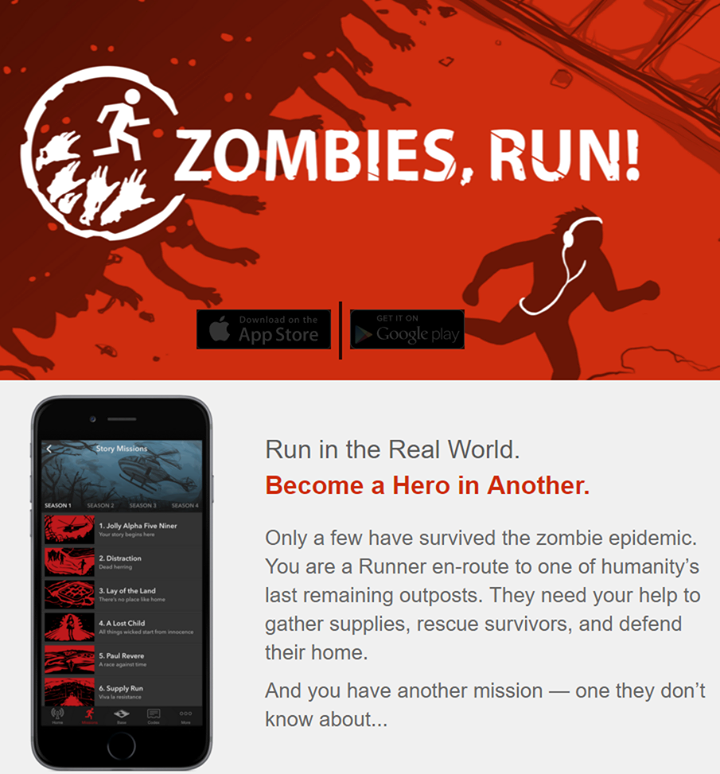 is an app where your objective to run away from the horde of zombies. Music and your missions are fed through to you via your headphones, and when you hear the zombies getting closer you need to increase your speed to escape. You also collect supplies to rebuild your town and progress in the award-winning story. It helps people looking to get fit and gain an additional level of enjoyment. In addition, they will be able to post their times online, sharing these with others as a way to add a competitive aspect to their exercise. 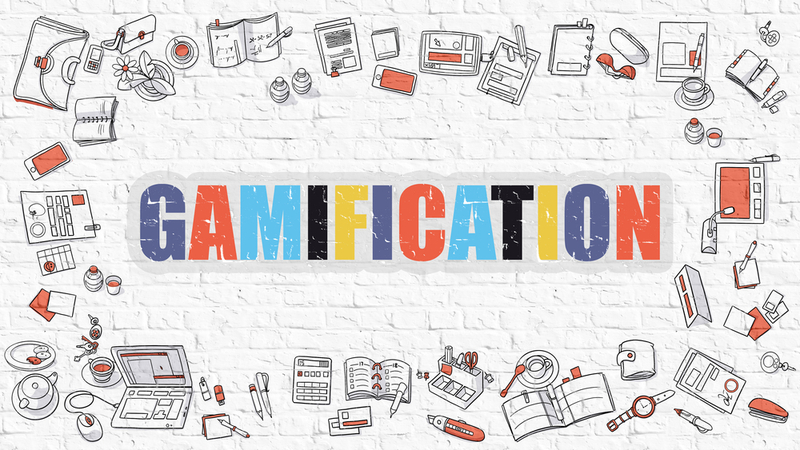 As you can see, there are a number of ways gamification can be used to increase the enjoyment, engagement and effectiveness of your learning, day to day tasks, fitness and to assist in the marketing of your company.